Worcester are a manufacturer known for their reliable and high efficiency gas, oil and LPG boilers. And now for a limited time if you purchase one of their selected gas boilers and any oil-fired boiler it will be backed up by a guarantee lasting for up to five years. If you purchase any of the qualifying range of Greenstar boilers between 1 January and 31 December 2014 you’ll benefit from the standard two year guarantee plus an extra three years. Providing you with complete cover against material and manufacturing faults and the peace of mind that should a fault develop your Worcester boiler will be repaired for free, including parts and labour. The boiler will need to be serviced every year to qualify for the extended three year guarantee. At more than 90% efficient, Worcester Greenstar gas-fired boilers turn at least 90% of the fuel they use into heat. Falling into the SEDBUK band A, they are among the most efficient condensing boilers on the market today. The popular brand was voted most reliable among Which? members and in September 2013 Worcester Greenstar gas boilers scooped the coveted Which? Best Buy – for the third year running. Read more about Worcester boiler costs and savings. Want free Worcester boiler quotes? 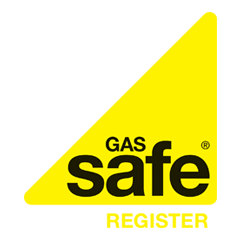 We can arrange for up to three free quotes from our approved and rated Gas Safe Registered heating engineers. Fill out our quote form today to get the ball rolling. For more information read our full guide to Worcester Bosch Boiler Warranty.